For more information on the AIU's Open Access Initiative or to view other Student Publications, click here. 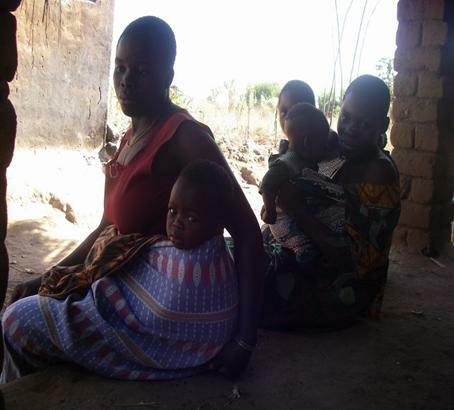 Malaria is a leading cause of morbidity and mortality in Malawi. Over 35% of all Out Patient Department (OPD) consultations are due to malaria for both children under five and adults (HMIS Bulletin August, 2007). 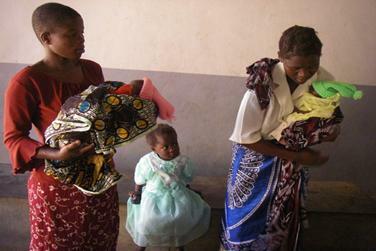 Malaria is also one of leading causes of in-patient admissions in hospitals in Malawi. Malaria is the 4th leading cause of deaths of in under-five children globally (WHO, World Malaria Report, 2005) and 5th cause of deaths of hospital in adults. In short, malaria in Malawi is endemic and it reaches its peak during rainy season (November to March). Although malaria is such a big problem, there are proven effective interventions to prevent or reduce malaria burden among the populations. Use and high coverage of ITNs in African settings has repeatedly shown to reduce all-cause mortality by 20% (CDC Malaria Home>Control and Prevention). Use of insecticide treated bednets, on large scale, started in 2002 following Malawi Demographic Health Survey in 2000 that indicated that very few people (6%) were sleeping under nets and very few nets were treated. Malawi Government through Ministry of Health subsidized the nets. Heavily subsidized nets were distributed through health facilities and were being sold at MK50 which is equivalent to $0.36 to at-risk groups (under-five children and pregnant mothers) and partially subsidized nets were sold at MK100 which is equivalent to $0.72 and were distributed through community based structures. The community based structures were established and trained in management of insecticide treated nets to fellow community members in most villages. In 2006, Government of Malawi, through National Malaria Control Programme changed policy on distribution of insecticide treated nets. Instead the Government of Malawi has introduced free net distribution through health facilities only and abolished the community based distribution strategy. The free nets are given to pregnant mothers and children under one years of age. From 2002 to 2005, a number of Community based malaria projects on ITNS were established. In some cases, more nets were distributed through community based structures. GTZ District Health Services Machinga and Zomba Project supported establishment of community based Bednet distribution in the two districts. Community Bednet projects were first established in 53 villages in Chikweo in 2002 and later in Chingale Area in 2003, in Machinga and Zomba Districts respectively. The subsidized nets were meant to serve both at-risk groups and rural populations of whom majority are poor, living below poverty line who are equally at risk of malaria attacks. The distribution of nets through both health facility and community based structures complemented each other very well and lead to increased Bednet ownership at household level from 0.2 to 3 nets per household (GTZ DHS Machinga & Zomba Annual Report, 2004).Chikweo Health Centre Catchment Area had the highest number of nets in Machinga as compared to any other catchment area (Machinga SADC Malaria Week; Summary of Net Re-Treatment, Nov, 2004). In some cases, it was noted that a greater number of nets were sold through the community based Bednet strategy. Due to high coverage of bednets at household level, there was notable reduction in Malaria case load at Chikweo health centre which could be attributed to the nets. Chikweo Health Personnel indicated that there were treating less complicated malaria cases which could be attributed to high coverage nets too (GTZ DHS Evaluation Survey Report, 2005). As result of the change in policy regarding insecticide bednets distribution, there has been an outcry that the general population is denied an opportunity to protect itself from malaria by withdrawing the community ITNs. In some cases, some community representatives have been coming and asking District Health officers to provide them with community nets so that they can buy to protect themselves. For example, Balaka DHO has been asking the Zonal Health Office that he was being pressurised by the communities in Balaka District regarding community nets. Therefore, the study is undertaken to justify the community outcry for ITNs and intend to apply concepts of Health promotion and behaviour course with regard to sustaining behaviours that depend on availability of service or product. Initially communities were encouraged to buy and sleep in insecticide treated nets which they accessed through both health facility and community strategy. Suddenly, the service is withdrawn and targeted to very few (at risk groups). Secondly, the study is undertaken to apply concepts of ethics of health promotion and disease prevention by examining whether the Ministry of Health is following ethical procedures when changing its ITN Policy and malaria Policy in general especially in Malawian context and what are implications of such drastic change in policy. The report will present methodology, results, discussions, recommendations and conclusion. 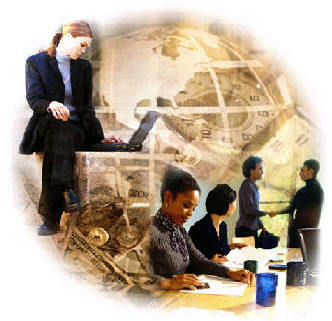 Both quantitative and qualitative research methods were used in gathering data for the study. 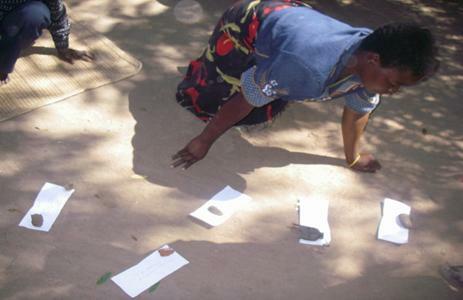 The study was conducted in 10 of the 53 villages where community bednet intervention was implemented from 2002 to 2004 with support from GTZ DHS Machinga and Zomba Project. A total of 200 respondents haven been interviewed through household questionnaire in these villages under Traditional Authority Chikweo in Machinga District. In addition, three focus group discussions were conducted in three villages to triangulate information collected through household questionnaire. Health facility records and discussions with health workers at both district and health facility are some sources of the information of the study. Household questionnaire has been analysed by EPI info version 3.4.3 and excel. The focus group discussions were manually by grouping the information in thematic areas. The results of the study may not be generalised for the country given the fact that the study was undertaken in one area of the district and there is need to conduct another bigger one to have comprehensive picture on the ground but it can be generalised for the district. Malawi National malaria Control Programme has erred to abolition distribution of bednets through the community strategy as this development is likely to reduce number of nets per household and consequently lead to increased malaria burden among the people. Most studies suggest that use of increased insecticide treated net ownership per household of 2 nets combined with free ACT has shown to give significant impact on reduction of malaria cases and complications which come with it. For example, Zanzibar had witnessed a remarkable reduction in malaria cases when it combined massive distribution of long lasting nets and ACT (Achuryt Bhattarai, Abdullah S.Ali….). Provision of free nets to targeted groups such under-five children and pregnant women are important to get quick results however to sustain the gains, it requires sustainability mechanisms by asking people to pay small fee for nets or insecticides. Chikweo area is found to the East of Machinga District and lies along both Lake Chilwa and Chiuta. Majority communities (90%) earn a living through substance farming where they grow maize and rice for food. They also grow tobacco for cash. 21% of households depend on fishing as source of livelihood. Very few people are engaged in small scale businesses and other means of earning a living. 83% of the respondents enrolled in the study were married, 9% were divorced, 5% had lost a partner due to death, 2 % were single and the other 2 percent were on separation. Almost all married respondents (82%) reported husband as the head of the household and 18% of the household were female headed. 37% of the respondents interviewed had never gone to primary school, 31 % have attended primary school up to STD 1-4, 27% had been educated up to STD 5-8 and very few had secondary school education (6%). Therefore, it could be said that literacy level is very low in the area because those have no education and those that have attended primary school up to STD 1-4 may not read comprehensively or may not read at all. Literacy level of among the sampled population is about 33% with consideration to those who have attended primary school up to Standard five and those that have secondary school education. The average household size was 5 persons per household with a range of 1 to 10 persons per household and frequency mode is at 5 persons per household which is the same as the mean. 21 %( n=40) of the households in the study had no nets, 44% (n=82) of households had a net per household, 25% (n=47) had 2 nets and 10 had more than 2 nets. Number of nets available in the household? 65 %( n=104) of respondents with nets reported that they re-treated their nets within 12 months and 6.5 %( n=10) had long lasting nets that did not require re-treatment. Some respondents (27%) did not treat their nets within 12 months and the rest could not remember when their nets were re-treated. During focus discussion it was noted that some households did not take their nets for re-treatment because the nets were torn and people were ashamed. “We do not take the torn nets for net re-treatment because we are ashamed to bring the torn nets to the public,” one respondent said at Focus Group discussion held at GVH Ngomano. Majority of the households 68 %( n=108) that had nets complained that they had torn nets of which some nets could no longer be used at all. See a picture 1 of one the nets below. 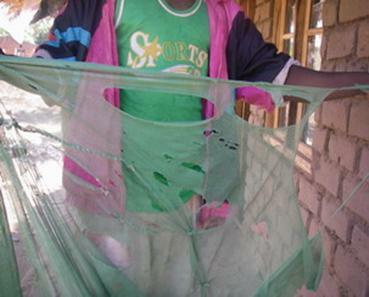 “Even if this kind of net is used, it could not protect an individual from mosquito bites and malaria,” a male respondent with <1 year old child complained in Chipolonga Village. A total of 147(73%) households had under-five children of which 36.5 % (n=73) of the households had one under-five child per household, 35 %( n=70) had two under-five children and 2% of the households had 3 under-five children per household respectively. 48% (470/974) of the study population slept under net during the previous night of which 14.2% were under-five children. This means that 61% of (138/225) slept under net during the previous night. They do not have nets since the closure of community bednet programme; they do not have an alternative to access affordable nets. All focus group discussions concurred on this fact. They explained that since bednet programme closed, it has been difficult for people in the area to access nets. “What crime have we committed to warrant closure of community bednet programme in Chikweo?” Mr Maniya, a focus group respondent asked during focus group discussions at Nampeya. The commercial nets were expensive and they could not afford to buy because each costs 8 times the price of the community bednet used to sell. In other words, the community bednet was 8times cheaper as compared to the commercial nets. Focus group respondents explained that they could not use their nets because they were too torn and the nets were irreparable state. This could be true because 72% of the nets were acquired more than 24 months ago (between 2002 to 2005 or early 2006) and 28% of the nets were acquired within 24 months prior to the study. The communities around Chikweo had obtained the conventional green nets through community bednet sellers (43%), vendors (34%) and health facility (14%). Most of these nets were bought between 2002 to 2005 when Ministry of Health and her partners were distributing nets through both community and health facility outlets. The free nets are mainly distributed to the target population through health facility although both focus group discussions and house questionnaire indicated that some long lasting nets are being sold to vendors who sell on the markets between MK400-450. For instance, 0.4 of long lasting nets were sourced through vendors. Overall, there are very few long lasting nets (2.9%) that have been distributed in the study area. Remaining percentage was sourced through other means which included distribution of nets to the poorest of the poor. A total of 96/974(>9%) of the study population was suffering from various illnesses during the study period. Majority of those were suffering malaria (44%, n=42) because they complained of fever and sometimes accompanied by vomiting which is could be regarded as Malaria in absence laboratory test seconded by cough, diarrhoea and others. See the pie chart below. In most cases, those people who had fever had been treated of malaria as per records in their health passport books. Out of 42 cases who had malaria, 36%(n=15) had no nets, 48%(n=20) cases occurred in households with torn nets, 14% cases occurred in households with one good net, 2% cases in households with 2 good nets and no cases in households with 3 or more good nets. The communities felt that burden of malaria is on increasing now as compared to the time when they had community bednet program. The focus group discussions revealed that the communities are experiencing high number of malaria cases because Chikweo Area is a long lakeshore and has lot swampy areas which are conducive to breading of mosquitoes. The other fact is that they have limited or no access to cheap nets since the close of community bednet programme. They reported that it was difficult to access the free nets because most pregnant women and <5 children who are the targeted population, are not receiving the nets. This was confirmed when the investigators interviewed some villagers after focus group discussions and made a visit to health centre where it was noted that a number of women who came for post natal care on 23rd May, 2008 were not given nets on delivery and there were no nets at the health centre during the study period. Some women have been going to the health centre severe times but no avail; they give up at the end. “Only the luck ones are given free nets and I have been going there several times to check for the free net for my child but I have just given up,” one female with a chid under 1 at Nampeya Focus Group Discussion said. Neither mothers nor the children were given nets during ante-natal period and soon after birth respectively (Chipolonga Village). Discussions with a nurse in the maternity revealed that the nets are not shared with under-five clinic because the nurse felt that nets are not enough to meet demand for both maternity and under-five clinic. 52% of respondents reported they have no where to go buy new nets, 32% of the respondents said they will go to shops and vendors to buy 15% said they will go to health facility to get free nets and 1% reported that they will go to bednet seller to buy a new net. In case your nets are torn and you need replacement or looking for new ones where do you go to obtain or buy next nets? What is price of nets on the local market? How much are you willing to pay for a net? In both focus group discussions and household questionnaire, communities are willing to pay for nets if community bednet program is re-introduced but added that majority could not afford to buy the commercial nets at current price. They appreciated the introduction of free nets for both pregnant women and under-five children and the facility for the poor of the poorest but they felt that Government should still re-consider the re-introduction of community bednet program because the current arrangement does not accommodate other people and most people at risk are not benefiting from it. They contended that the most at risk groups could equally benefit from the community bednet programme. Malaria is still regarded as a big threat in the communities in Chikweo because both household data and focus group discussions allude to this point. For instance, household data indicate that 44% of all cases found during the study had fever or were treated for malaria and that all three focus group discussions ranked malaria as a leading cause of morbidity and mortality among the people out of five diseases that the people are most worried with. “There is an increase of malaria cases among the people as compared to the time when we had community bednet programme here especially last year 2007 and 2008 and you can check your records at health centre,” focus group respondents at Nampeya and Ngomano emphasized. The high malaria morbidity seems to be directly linked to few people that are sleeping under bednets. There has been notable decline in household bednet ownership in these villages from 3 to 1.2 nets per household (Community Health Annual Report for GTZ DHS Machinga & Zomba 2004). When community bednet programme was being established, there was low household bednet ownership and the trend sharply changed upon introduction of community nets which were sold at $0.72. See fig 8, a linear graph below which shows increase in household bednet ownership of project life span in Chikweo. The proportion of malaria cases show downward trend but the reduction in Chikweo is more pronounced if you compare with proportion of malaria cases in other health centres of Ngokwe and Namanja within the same district. From 2004, there is an increase in the malaria burden in all facilities though there is significant increase in Chikweo as compared to other health facilities. The increase of malaria cases could be related to phasing out of GTZ DHS Project to the District and Chikweo area in particular as the project directly supported the malaria communication campaign and bednet distribution and subsequent suspension of community bednet as whole by Government appear to have worsened the situation further. See fig 10, linear graph that shows trends of OPD malaria cases in comparison to other health facilities where community bednet intervention was not intensively done. After 2005, there has been steady increase in proportion of malaria cases. Although Machinga district registered the highest number of nets in 2006, Chikweo area registered slight drop in nets compared to nets registered in 2004 and there was big drop in the following year in 2007 in both the district and Chikweo area. The graph illustrates that there is sharp decrease in percentage of bednets in Chikweo Area as compared to the totals nets available in the district from 2004 to 2007. This trend seems to suggest that the bednets which are distributed through both health facility and those distributed to the poorest of the poor are not adequate enough to boost or sustain household bednet ownership in the area that was already achieved. The decline of nets started immediately when GTZ DHS support to Machinga and Zomba phased out because there was no programme to replace the torn nets or few nets are being replaced. Chikweo area used to register highest number of nets than any other area in Machinga District (Machinga SADC Malaria Week Report, 2004). Community bednet programme started in 53 villages of Traditional authority Chikweo. These villages had an average of three bednets per household. The decrease of household bednet ownership from 3 to 1.2 nets in the study may explain reason why only 48% of the study population slept under net during the previous night. It has been noted that even the at risk groups both under-five children and pregnant women were sleeping under the nets if the nets were available in their households. People are interested to sleep under net every day but the bednets are not affordable hence you see the systematic decline in number of nets at household level and Chikweo area in general in above graph. As a result of the decline in number of bednets at household level, it appears that the malaria burden has started increasing see fig 12, a linear Graph below which shows trends of nets vs. malaria cases at Chikweo. There is very little need to persuade people to sleep under net in the area but rather to make the nets available and affordable. The price of commercial nets is described to be expensive (98%) by average Malawians of whom over 60% are living below poverty line as they spend less than one US Dollar per day. Therefore, the price is the major hindrance to accessing the commercial nets. Whilst communities appreciate government decision to provide free nets to pregnant women and under-five children and to the poorest of the poor but they urge authorities in government to consider provision of bednets to general public at subsidized price because the targeted nets are not enough to meet the demand of the at risk groups and at the same time there are no feasible options for general public. It is also appellant from the study that only pregnant women and <1 year old children who are accessing the long lasting free nets because it is said that number of nets given to health facilities is not adequate to meet the demand of both antenatal, maternity and all under-five children at under-five clinics. See picture 3 below, shows women at health centre that did not get nets after delivery. During one of the focus group discussions, a Group Village Headman said that only three people per village benefited from nets of the poorest of poor and continued to say that this was not adequate because they have a lot of poor people in their villages and some villages did not benefit at all. It is encouraging to learn that the communities (98%) are willing to pay for subsidized nets within a range of $0.72 to $1.44. The willing ness of people to pay for nets shows that discontinuation of the community bednet programme is not for the fact that the communities were failing to pay for the nets but rather it is the problem of the authorities. Another important factor that has been discovered in the study is that household members who slept under torn nets had had higher percentage of malaria cases (48%) during study as compared to those who slept under bednets which were in good state of repair and there was no reported malaria cases in households which had more than 2 nets in good condition and treated. It has also been noted that malaria cases decreased with increased number bednets in good condition in use. 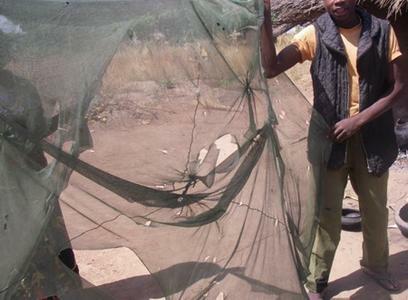 This means that replacement of torn nets is vital element to sustain prevention of malaria otherwise the gains acquired previously are likely to be lost. The study shows that most nets had life span of two to three years. The major factor which shortens the life span of nets is the use mats. If the majority of the people were using mattresses probably the nets would have lasted for five years. It is strongly believed that even the long lasting nets would not last five years as anticipated because most rural communities are using mats which facilitate tear and wear of bednets. Therefore, foreseeing such a problem, it is preliquisite on part of planners to consider re-distribution of nets in third year to replace the torn nets assuming that the child received a net at birth. In the study, 51% of the households have no feasible option where they can go to buy new nets to replace the torn nets. Another important lesson that can be drawn from the study is that some conventional nets (34%) leaked from both health facility and community bednet outlets to commercial outlet. the phenomenon has both merits and de-merits. The positive explanation is that nets were found in the commercial outlets because both community nets and facility nets were restricted to specific areas which did not offer access to more community members. For instance, the community bednet sellers were supposed to sell nets in their villages only, in which case the neighbouring villages forced the sellers to or shop owners bought nets from health facilities to sell to other people. There is need to examine opportunities of working with commercial sector on distributing subsidized nets. On the other hand, there is need for close monitoring for both free nets and community bednets to ensure that intended beneficiaries are reached. “Free nets are meant to benefit health workers not people in the villages because when the nets have come at health centre, they give few to the intended people and sell the rest to business people”, one focus group respondent alleged at Ngomano Focus group discussions. To have immediate outcomes on malaria burden, National Malaria Programme should consider to re-introduce community bednet facility to the general public at subsidized price because communities are willing to pay for these nets and then create demand for nets and encourage desired behaviours in prevention of malaria. The community outlet played commentary role to the health facility programme because 44% of the nets were acquired through it and at same time very few households (8%) managed to buy the conical nets and about 99% of questionnaire respondents reported that commercial nets were expensive. To scale up and accelerate implementation of Insecticide treated bednets, government should work with other stakeholders such as Non-governmental organisations, community based organisations and private sector to implement the program through establishment of grant facility. Continue to provide free nets to pregnant women and under-five children and re –distribute nets when a child has completed 3 years to replace the nets given to child at birth. Since free nets distribution started towards the end of 2007, National Malaria Control Programme should consider increasing the quota of free nets allocated to each health facility to cater for those children who were born after subsidized nets and before free nets. Even if Insecticide programme has achieved a household insecticide treated bednet ratio of 2 nets per household or more, it should continuously provide some few nets (5-10%) to replace torn nets to sustain the achievements. In long term, scale up indoor residual spraying which is currently being done on small scale in some parts of the country. The suspension of community bednet distribution strategy has had negative effects in household. There is systematic decline in number of bednets at household in which case many more people are exposed to anopheles mosquito which transmits malaria parasites. This is consequently leads to increased number of people suffering and dying from malaria which would have been prevented. The gains that the area achieved in previous years when it had community bednet intervention are being lost. It is morally unethical to provide free treatment of malaria when some of the cases would have been avoided, prevention is supreme and the communities should not only be considered for free treatment. The study shows that high bednet coverage is important factor to achieve significant reduction in malaria morbidity and mortality. Most successfully malaria programmes in the world have advocated and combined both mass distribution of nets and provision of free treatment of malaria. The use of insecticide treated bednets is instrumental in prevention of malaria among the people. Providing nets to at risk groups offer partial protection because majority who might be reservoirs for malaria parasites are exposed. There is likelihood to achieve meaningful results in fight of malaria if majority of the people are sleeping under net rather than as the case being advocated now. The policy of ITN distribution should be re-considered so that majority of the people are offered an opportunity to protect them from malaria. Prevention is better than cure. The following questions require some further investigations and answers, the communities have been puzzled at the closing community distribution strategy and therefore asking some of these questions. When can we achieve more in reducing malaria among the population in malaria endemic areas when we target a few or when majority of the people are reached with prevention methods? Is it economical to provide free treatment with ACT to adults in management of malaria whilst they denied an opportunity to access the long lasting nets which they are willing to buy to protect themselves from mosquito and malaria? Is it ethical to promote a healthy behaviour like sleeping under net which depends on service availability when at the same time the service is withdrawn? Did National Malaria Control Programme make wide consultations with communities before the actual change of distribution strategy? Machinga District Child Health Days and Sanitation Week Report, 2007. R.H.Zimmerman and J.Voorham (1997), Use of insecticide-impregnated mosquito nets and other impregnated materials for malaria control in the Americas (Abstract). 8 Did any member of the household suffer from malaria since the start of the rainy season in November 2007? 9 Who suffered from Malaria during this rainy season? 10 How times have she/he had malaria attack (record the number against the individual). Please check in the health profiles if available. 11 Is there any member of household sick? 12 What is he or she complaining of or what is diagnosis from health facility say? 13 Who is currently sick? 16 Where did you source the nets? 20 When did you acquire your nets? 21 In case your nets are torn and you need replacement where do you go? 22 What is the price of the net on the local market here? 23 If subsidized nets are re-introduced are willing to pay for the nets? 24. How much are you willing to pay for a net? Copyright ® 1979 - 2007, 2008 Atlantic International University . All rights reserved.